Andrew started out his career in the youth team at Nottingham Forest but was not retained following the end of the 2005/2006 season. Diamonds manager Paul Hart had previously been at Forest and brought him to Nene Park on non-contract forms on 28 July 2006. With relatively few chances in the first team, he went out on loan to Rugby Town in December 2006, and was released on 8 January 2007. 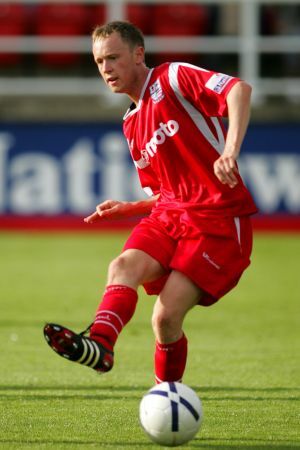 He remained at Rugby Town following his release, but departed to FC Windisch in the Swiss Inter-regional League (4th level) in the summer of 2007 for a short period. He returned to register for Eastwood Town, but then went across the Atlantic to play for Canadian side Ottawa Fury in the USL Premier Development League for the 2008 season. On return to the UK, Andrew signed for Long Eaton United of the Northern Counties East Premier Division on 27 March 2009. No record of his involvement with the game has been found between 2010 and 2018.